JF Beasley, LLC is a specialty firm. Because employment law demands knowledge of legal developments that stretch across diverse subject areas, it is not suited for the general practitioner. An ability to immediately identify potential legal claims and to help clients avoid costly fees and wasted time demands specialization. Our firm offers this very knowledge and expertise. 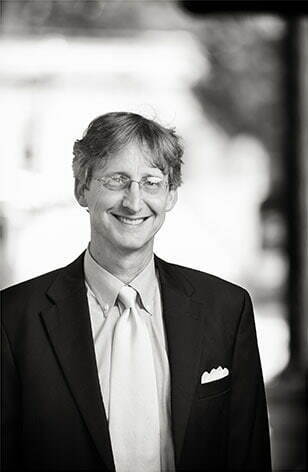 With 20 years of experience in a practice focused solely on employment law and civil rights, managing Georgia employment discrimination attorney John Beasley has a unique understanding of work place concerns and the law that regulates this most important part of our lives. Experience matters. With experience comes credibility. Credibility of counsel is important if your case or legal matter is to receive the respect you want from the courts and from opposing counsel. As a Georgia employment discrimination attorney, John Beasley and his firm offer that experience drawn from trials of cases under some of the most challenging employment, civil rights and commercial laws including the Americans with Disabilities Act, Title VII of the Civil Rights Act of 1964, the Fair Labor Standards Act, the Sarbanes Oxley Act, the Family Medical Leave Act, state and federal racketeering statutes and federal securities laws. It offers that experience because the firm is founded upon work in the trenches, including years of work large Atlanta firms as well as work in smaller communities like Athens and Watkinsville, Georgia. Our firm can assist you. We have achieved results in all of these areas and more. In court, we have helped clients obtain substantial monetary rewards when subject to violations of employment laws. We have also vigorously defended clients who have been wrongfully accused. But a legal matter does not always demand recourse to the courts. Our firm offers experience in negotiations of employment matters as well as in alternative dispute resolution including arbitrations and mediations. If your case is an employment or civil rights dispute, our experience in these areas and in simply evaluating claims and remedies can help you get your case resolved without the necessity of a court case. It is a fact that the current economic climate is trying. Feelings of uncertainty breed concern even fear, leaving most everyone looking for reassurance and, at a minimum, an understanding of the rules that govern the conduct of our day to day lives at work. 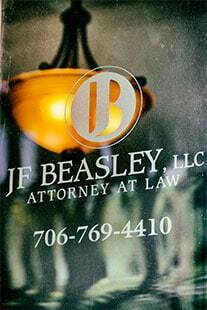 JF Beasley, LLC is a resource and place for reassurance and, if necessary, representation in the law. Whether you are in Atlanta, Athens, Watkinsville or anywhere across the State, if you have an employment law question, dispute or case you are considering, let Georgia employment discrimination attorney John Beasley and his office provide the assistance you need. 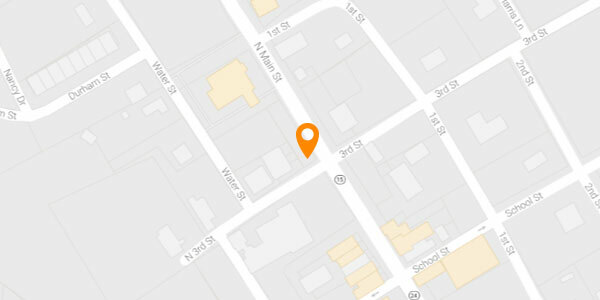 Our main office is located on Main Street in downtown Watkinsville, Georgia, just a short drive from Atlanta. While we practice statewide, our office is uniquely situated to be accessible to the Federal Courts in Atlanta, Gainesville, Athens, Macon and Savannah. If you have a question or a case for us to review, call us toll free at 855-774-Empl or send an e-mail to jfbeasley@jfbeasleylaw.com. verdicts, settlements, and awards for its clients. JF Beasley, LLC’s founder and owner, John Beasley, has more than 20 years of litigation and trial experience, most of that devoted to handling employment cases on behalf of employees and small employers. John represents clients in both the public and private sectors. He has tried cases under many civil rights and whistleblower laws, including Title VII of the Civil Rights Act of 1964, the Americans with Disabilities Act, the Equal Pay Act, the Family Medical Leave Act, the Age Discrimination in Employment Act, Sarbanes Oxley and the U.S. Constitution. We serve the following localities: Chatham County including Savannah; Clarke County including Athens; Cobb County including Marietta; DeKalb County including Decatur and Stone Mountain; Fulton County including Atlanta, College Park, and Roswell; Gwinnett County including Buford, Lawrenceville, and Norcross; Oconee County including Watkinsville; Macon County including Oglethorpe; and Bibb County including Macon.